Looking for Accommodation in Leeds? Njoy offer a great selection of student Accommodation in their own privately owned properties, all within easy traveling distance of the major Manchester universities. Cost effective, all inclusive prices with contents insurance included, and our own in-house maintenance team to make sure your stay remains a great experience. 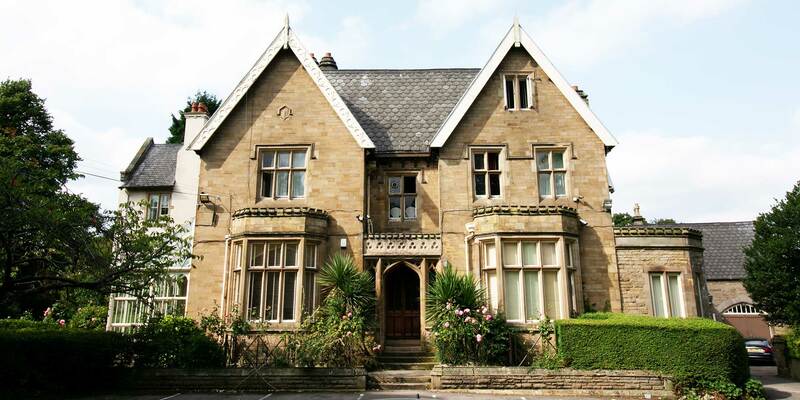 Langdale Hall, Carfax Court and Naburn & Welby St are all affordable, safe & secure accommodation. Our dedicated on-site maintenance team are ready to help 24/7. All our properties are located in leafy Victoria Park, a short walk from Wilmslow Rd & Oxford Rd, or a convenient bus ride from all Manchester universities & colleges. Wonderful place to live; full of character and really feels like a home. Amazing staff and a great sense of community here. Very good price and the location is perfect. I had enough opportunity to socialise and make new friends but also the opportunity to be a student and get my work done. There’s a close community atmosphere. It’s also a very pretty building with gardens and greenery, which is rare for student hall accommodations. The best experience was the new friendships. It’s been everything I was after: well kept, safe, friendly, close to uni, and good value with the best management I’ve experienced in 5 years at uni by far! Thank you! Good sized rooms, there’s places to relax, affordable and it has good links to transport. I’ve felt really looked after during my time here. I know not many people in student halls can say that. I’m truly grateful, thank you.